Our Abenaki duo canoe is lightweight and well suited to solo tripping and casual tandem paddling. The Abenaki maneuvers excellently and moves quickly through the water. Novice and experienced paddlers will be reassured by its good initial and secondary stability, though its stability does not sacrifice its speed. 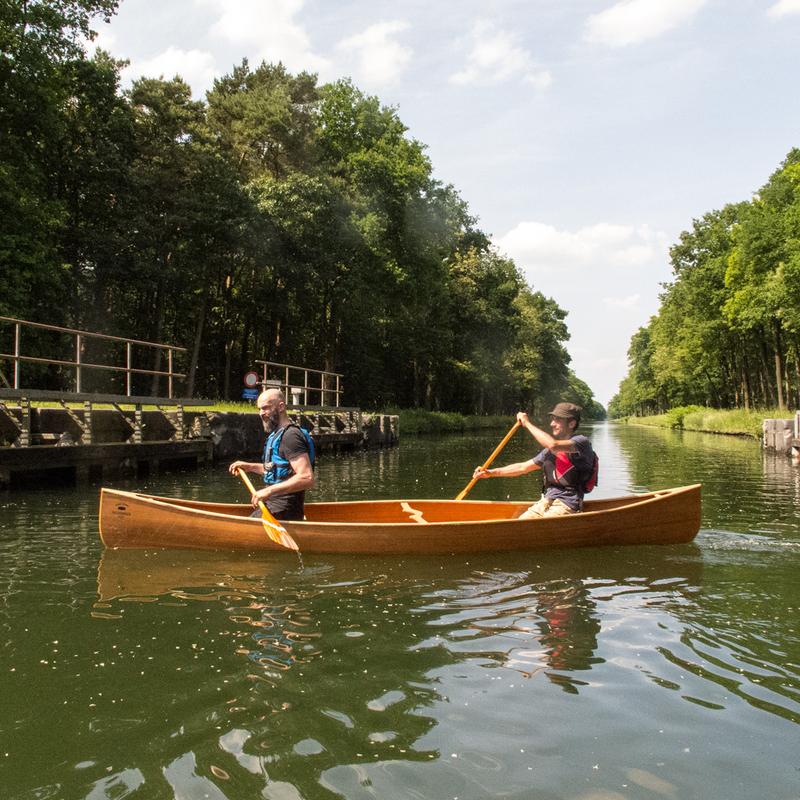 This tandem canoe measures only 450 cm and only weighs 24 kg. It’s easily handled and transportable with every mid sized car. 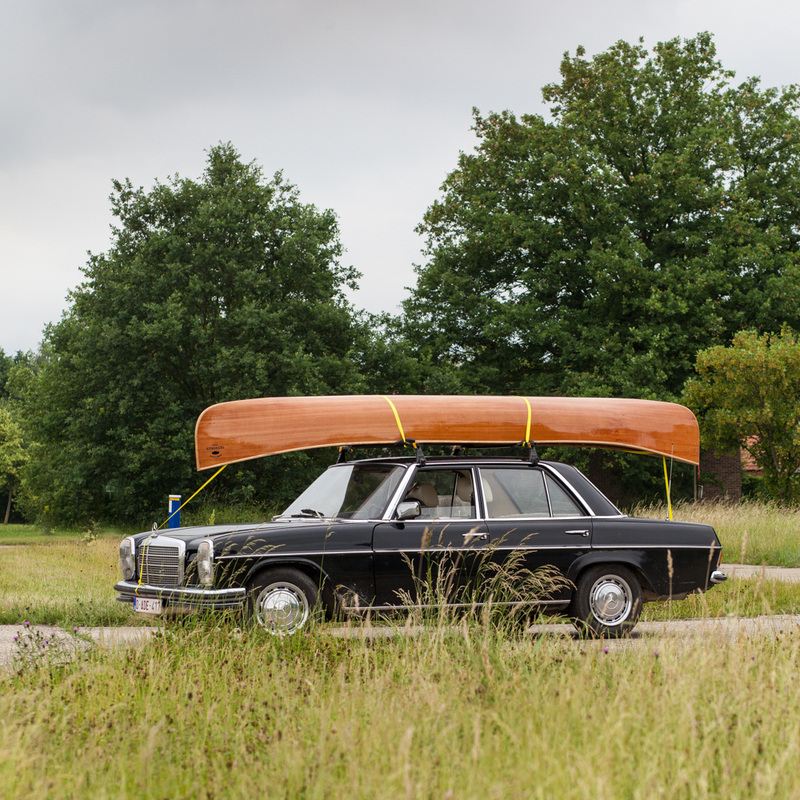 It can be outfitted as a solo or a tandem canoe. 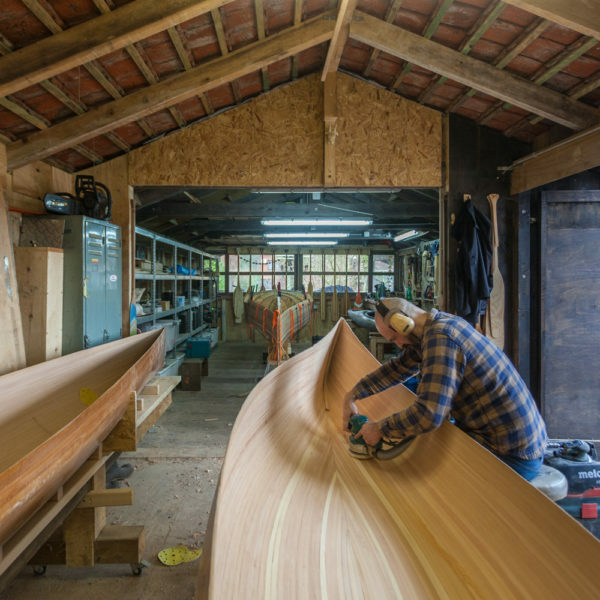 The slightly curved hull and the straight sides allow it to be edged easily making it very suitable as a solo canoe. 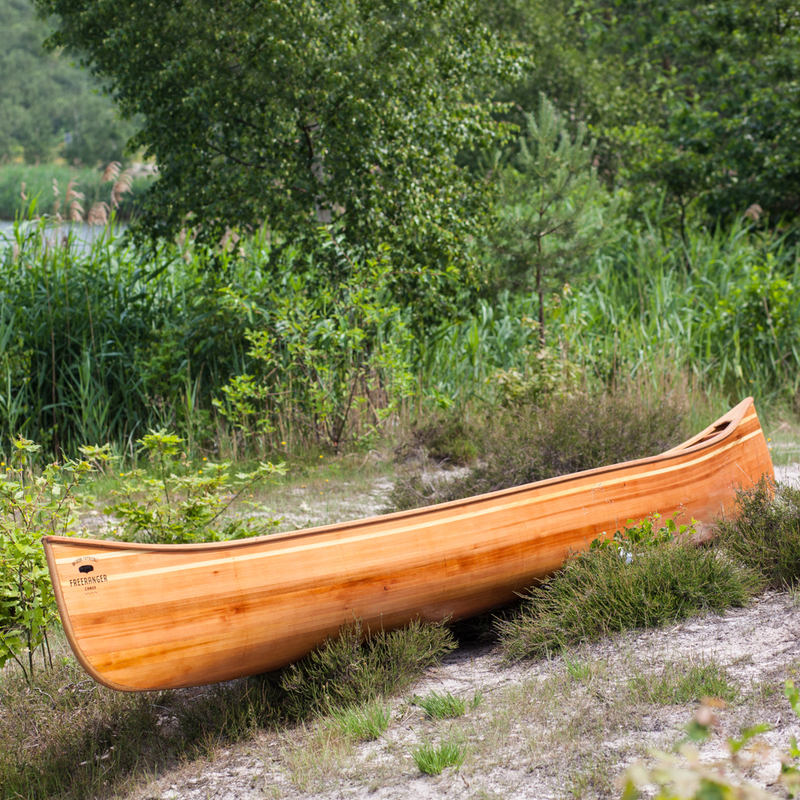 This canoe can also be built with a painted kevlar hull, making it very impact resistant. 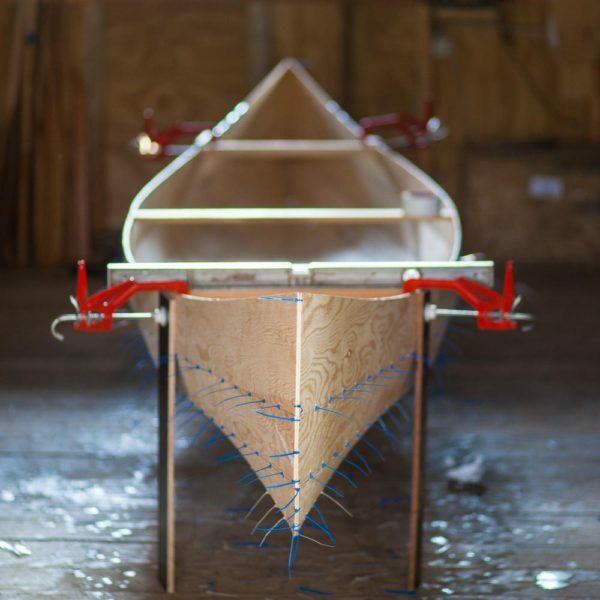 Check out the Abenaki river canoe. Our Abenaki duo canoe is built with western red cedar and laminated with glass fabric and epoxy. The laminate ensures that the wood is sandwiched and never comes into contact with water. 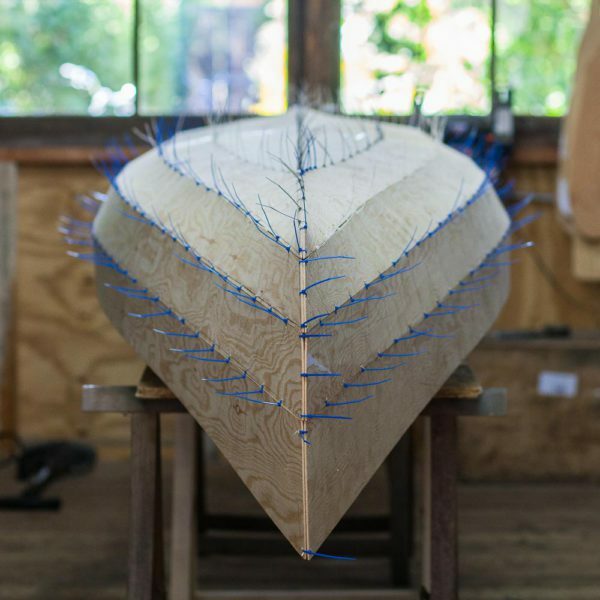 In addition, it provides extreme stiffness which makes the canoe very efficient to be paddled. The boat is finished with high or satin gloss marine varnish with an excellent UV-blocker.